Never forget that you part of the most elite and legendary unit the Marine Corps has ever seen. Our forefathers earned our proud reputation through great personal courage and sacrifice in fierce combat in Vietnam, Somalia, Iraq and Afghanistan. Never do anything to bring shame or embarrassment to the prestigious legacy of our company. Every day is a selection, and every task is a test. Earn your place here every single day. We are a Marine Corps at war and our nation requires sacrifice on our part to protect our freedoms and liberties. Take care of your wounded, insert a new magazine, and seize your objective. This is a rough business. We must carry on no matter what the conditions – never forget that the mission comes first. Never put yourself before your Marines. Our Marines are our most precious resource and must be treated as such. Take care of our men, empower your subordinates and develop leaders at all levels. Try to balance your work and your family and help our Marines do the same. If you don’t have anything for your men to do, send them home. Always look cool. If you don’t know your job, you don’t look cool. Keep your weapon clean, your gear loaded and your ruck packed. Only shoot and move as fast as you can do so accurately. You can’t miss fast enough. Most tactical problems can be solved with an equal dose of aggression and violence. Never forget that your radio is your most powerful weapon. The difference between victory and defeat often comes down to will power and endurance. When all else fails, gain fire superiority, move towards the path of enemy guns and destroy everything in your path. We are rebuilding something great here and I want you to be proud of the important role each and every one of you are in playing in ensuring a future for Force Reconnaissance in the Marine Corps. Live the Reconnaissance Creed every day and protect the proud legacy and reputation of 1st Force Reconnaissance Company. 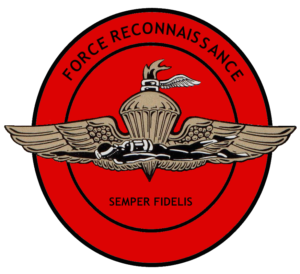 Editor’s Note: This is the actual commander’s guidance for First Force Recon, and is posted here with the permission of the original author. It first appeared in The Havok Journal on 20 April 2015.